It is an American country style, economical and practical, placed living room, balcony is a very good choice. American style, flower racks with upper and lower two-storey storage, to meet a variety of storage needs, and all wood to build, the overall structure of elegant and beautiful appearance. Its main material is all solid wood to build, durable, smooth polished panel, the surface spray paint, texture natural beauty. The outer corner of the flower rack is rounded, the bottom design has a layer, both play a solid role, but also increase the storage function, both beautiful and practical. 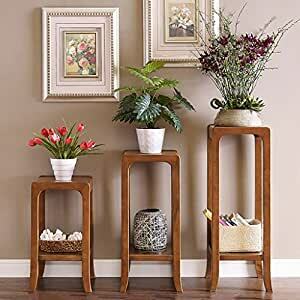 This flower rack uses environmentally friendly paint, smooth and smooth color.